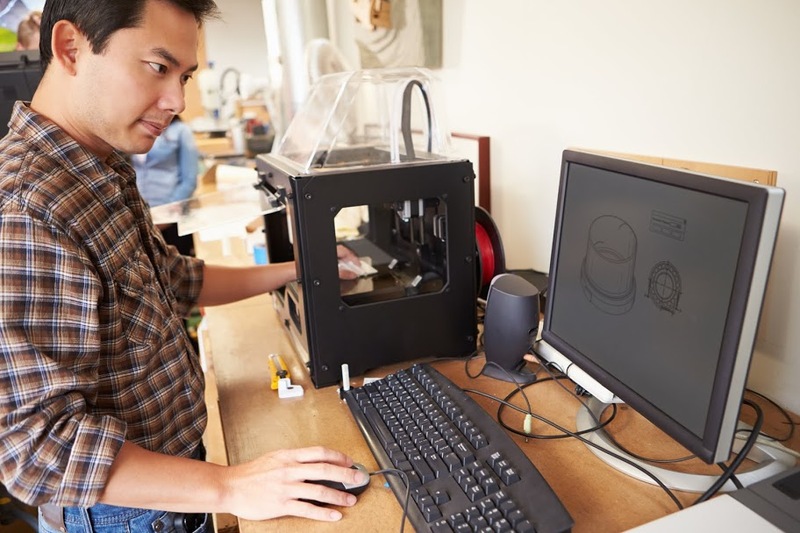 As interest in consumer-based 3D printing continues to grow, many new users are still finding themselves on the fence about actually purchasing a desktop 3D printer or using any number of 3D printing services including Shapeways, 3D Hubs or one of the many local Makerspaces that are continuing to pop up in communities worldwide – and for good reason. Even Autodesk CEO Carl Bass – who himself is a diehard Maker when not running the Autodesk engine – has called 3D printing in the consumer sector “overhyped”. Although Bass has a valid point, it also doesn’t mean that the occasional access to a 3D printer should be limited. Similar to copy machines (which are similar in cost to many desktop 3D printers), a user may not need to fork over money to have the technology at their fingertips at all times of the day – a simple trip to FedExKinkos or Staples may just do the trick for most. 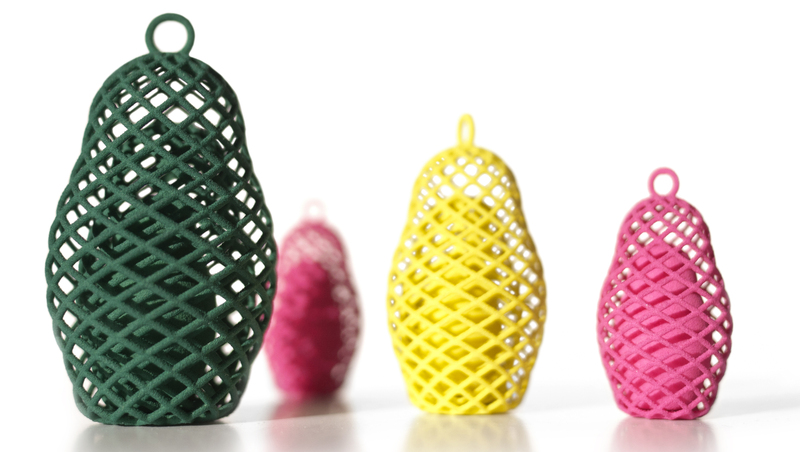 Enter new 3D printing service Print a Thing. 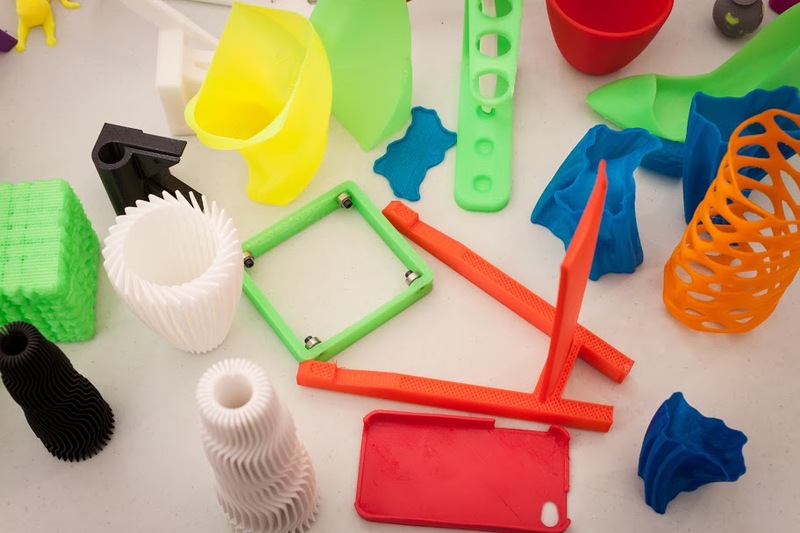 Dissatisfied with existing 3D printing services including Shapeways and 3D Hubs, Print a Thing founder and CEO Andy Doucette wanted to create an on-demand 3D printing experience that was both affordable and user-friendly for beginners and pros alike who don’t see the need to own their own 3D printer. We had the chance to talk with Doucette more about the new 3D printing service and why he thinks owning a 3D printer isn’t necessary for many, how he thinks the service is better than existing services including Shapeways and 3D Hubs – as well as his take on the near-future of additive manufacturing. SS: Hi Andy! First things first – who are you? AD: I am an inventor. I love nothing more than taking a difficult problem and finding an elegant solution that fits the environment in both form and function. I studied Electrical Engineering at the University of Minnesota and Signal Processing at Purdue University. Signal Processing is the science of extracting actionable information from large streams of data, for example an audio or video stream. SS: How did your background expose you to 3D printing? AD: 3D printing has been around, under the name Rapid Prototyping, since the 1980’s, but my experience with it began in 2008. As an aspiring inventor, I had always been amazed by the sheer creative power that can be unleashed with this technology – the physical realm, essentially at your fingertips. The problem was that commercial 3D printers costed around $20,000, and the raw printing materials were prohibitively expensive. An object the size of your fist would cost hundreds of dollars to print using that technology. That high cost was too large of a barrier for most people, including myself. In 2008, I stumbled across the RepRap project, an open-source effort to design a Rapid Prototyping Machine capable of 3D printing its own parts. Brain child of Adrian Bowyer, of Bath University, the RepRap project rejected the traditional economic model of false-scarcity, and created the first machine capable of having “children”, with the help of a human for assembly. The ramifications were huge; exponential growth, evolution, a means of decentralized, and democratic production for all. I decided to build my own RepRap Darwin and assembled a group of friends together to have a “RepRap build day” (during which) we soldered together various circuit boards and assembled parts to build the printer. Ever since then, I’ve been riveted by the power 3D printing has to break down the barriers between an initial concept and its physical reality. “Our competitors come in two main flavors – ‘Commercial Printer Factories’ and ‘3D Printing Yellow Pages'”. Hundreds of designs for consumer-level 3d printers have evolved from the core RepRap design, each trying to be “the one” that puts a 3D printer on every desktop. Well known commercial brands such as Makerbot actually have their original roots in the open-source RepRap Project. SS: What is Print a Thing and who is it for? AD: After owning a 3d printer of my own, I saw, first-hand, the power of 3D printing to change the way goods are conceived and created. I also saw how much effort and expertise it takes to use and maintain a 3D Printer. Print beds require constant leveling, extruders break down, and printing calibrations need adjustment. I started Print a Thing as a way to offer others the power of 3D printing without requiring the up-front investment, technical skills, and time that it takes to calibrate and operate your own machine. Print a Thing is for the artist, the inventor, the designer, the entrepreneur – anyone with an idea they would like fabricated into existence. SS: How does the service compare to other 3D printing services and how is it different? AD: At Print a Thing, we provide top-quality 3D printing services at a fraction of the cost of our competitors. We do this by harnessing a network of otherwise-underutilized 3d printers from across the world, carefully matching each order with the most relevant suppliers. You choose what is important – the material, color, quality level / price tradeoff (coming soon), and when you’d like your order to arrive (coming soon) – and we do all the legwork. Based on historical timing and quality data for each supplier, we estimate the statistical likelihood that a given supplier will exceed your expectations and offer your order only to those suppliers. A competitive bidding process ensures that market prices stay low. You can then spend more time focusing on designing things you love and less time worrying about finding ways to fabricate. Our competitors come in two main flavors – “Commercial Printer Factories” and “3D Printing Yellow Pages”. Commercial printer companies spend millions of dollars outfitting large factories with commercial 3D printers ($250,000 each) and hire workers to run them. Shapeways is an example of this category. Because of the large overhead, commercial printer factories have to charge significantly more for each print in order to earn back that initial investment. Print a Thing has very little overhead to pay back because we’re using existing but un-tapped fabrication capacity, and thus we can pass that savings off to the customer. The price of this object when ordered through Shapeways’ service, using their cheapest material (“White Strong & Flexible”) and with 2 day shipping, is $86.96. The same object ordered with 2-day shipping through Print a Thing is $33.11. Of this price, the object itself is only $18.11, and the rest is a fixed $15 printer setup charge. That means if you wanted a second one for a friend, it would be just $18.11. Compared to Shapeways, we’re ⅓ the price for a similar quality. Furthermore, while Shapeways advertises that their product “ships in 6 business days”, the majority of our orders arrive at our customer’s doorstep before that. The second competitor class are what I call “3D Printing Yellow Pages” companies. These are organizations that make available a listing of people who own 3d printers around the world but leave it to their customer to find the right one. In my personal experience with these companies, taken several days for suppliers to respond to inquiries. Even after messaging five or six on the first round, I often end up messaging a second round of suppliers before I get a good match. Some of these companies claim a “2 day order time”, but that’s measured from AFTER you have found a supplier, which can take several days of back and forth. Print a Thing’s patent-pending matching algorithms automatically match an order with the right suppliers, saving the customer both time and money. Print a Thing is the best of both worlds, offering the ease of shopping and quality of a commercial 3d printing site with the value offered by leveraging existing 3d printer capacity. Lastly, we are uniquely positioned to enable massively-parallel distributed manufacturing. Companies or individuals who are bringing a new product to market can make the first few hundred through Print a Thing and get user-feedback without investing tens of thousands of dollars on injection molding tooling. In the early phases of a new product design, it is important to be able to make continual changes to the model in response to user feedback and testing. Since there is little overhead in changing the design when using 3D printing, a designer can order 50 of several competing designs and see which one his/her customers like best, and then iterate a week later with another set of models. Designs can evolve over time, adapting to fit better fit a customer’s true needs, rather than just the ones the designer originally anticipated. If customer demand spikes, Print a Thing can divide and conquer, distributing an order of 200 parts into 20 orders of 10 parts, giving you the best of both worlds – many parts at the speed of a single one. SS: Is there anything else you’d like to share? AD: Print a Thing’s concierge service is available to the public due to thousands of hours of work by Print a Thing Team. It takes a lot of work to convert an idea for a business into a live service, and I could not have done it alone. Matt, Drew, Kevin, Joe, and Shirin, thank you all for helping to make 3D printing easy, affordable, and accessible for everybody! 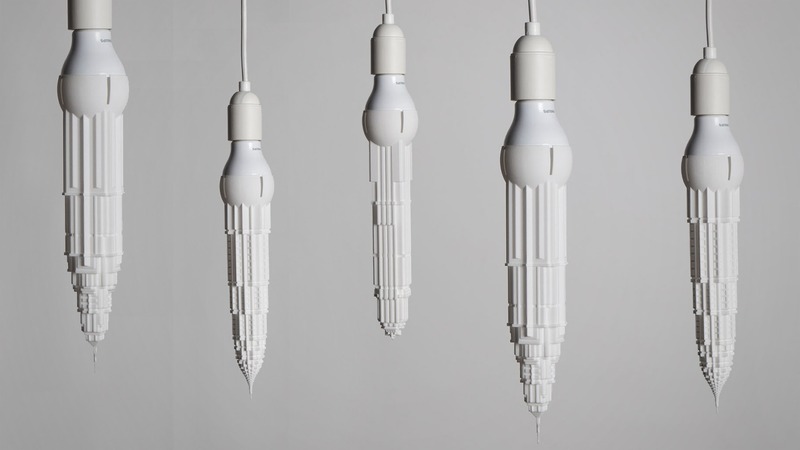 SS: What do you think the near-future holds for 3D printing? AD: I envision a world where the design of physical objects is no longer relinquished to engineers in stuffy office buildings, but instead is owned by every individual. People all over the world play music using midi mixers, write novels and self-publish, take photographs with their digital cameras, and create custom greeting cards online. We do this because we all have an innate need to be creative, and it’s a lot of fun to make our mark on the world. We use these mediums because they are affordable and accessible. Computers are ubiquitous, cameras are cheap, and the internet allows low-cost distribution of ideas. Yet, when we need a physical object, most of us don’t naturally think of designing one ourselves – we’ve been trained in a mass-manufacturing era to look to others for that. This is because creating custom objects has traditionally been too expensive for regular people to engage in. As 3D printing goes from hundreds of dollars per fist-sized object to five dollars for the same object, I believe a new ethos will develop in the world – one where we embrace our ability to create new objects to solve everyday problems. We don’t hire a professional graphics designer to create an invitation for every birth party we have, why should we relinquish the design our cell phone case to others or dashboard cell phone mount to others? People often think CAD is too difficult to learn, but that’s not really true anymore. There is a new line of very accessible CAD software available for free on the web. Anyone can go to tinkercad.com, for example, and create your first 3D design in one hour. It’s that easy. Five minutes later, it can be ordered on printathing.com and on your door step a few days later. The price is right. The learning curve is low. The production is easy. What will you create? To find out more about becoming a supplier or to get your 3D prints made without breaking the budget, head over to Print a Thing.